How can you communicate quickly, clearly and efficiently with a customer, and third parties, to reach an agreement on the next steps? Open the lines of communication. 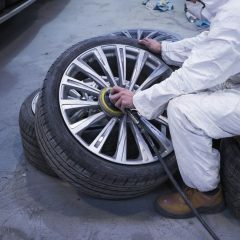 Supported by text and email message, CitNOW Bodyshop helps to keep the lines of communication clear between all parties. A brand approved email is sent to your customer with a link to their video, helping to maintain a consistent brand presence across all consumer touchpoints. Video and still images are presented to the customer through one delivery, and one collection, mechanism. Date and time stamp, with GPS coordinates, are burnt into the video for validation purposes so everyone knows when it was taken. Everything is clear and transparent, as you show your customers the genuine parts, qualified technicians, OEM approved repair processes, all being used on their vehicle. By using this app, the number of erroneous damage claims from customers dramatically reduces, minisiming your wasted time and reducing administration costs. 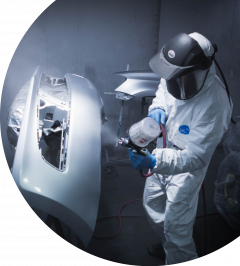 Use video to show additional work that could be completed whilst the vehicle is in your bodyshop resulting in more upsell of retail work. Create a positive and transparent relationships by using video and accompanying commentary, to give detailed justification of the repair method to improve efficiency and reduce downtime.